The university student who went viral when he was caught finishing an assignment in a nightclub has revealed the real truth behind his commitment to education. 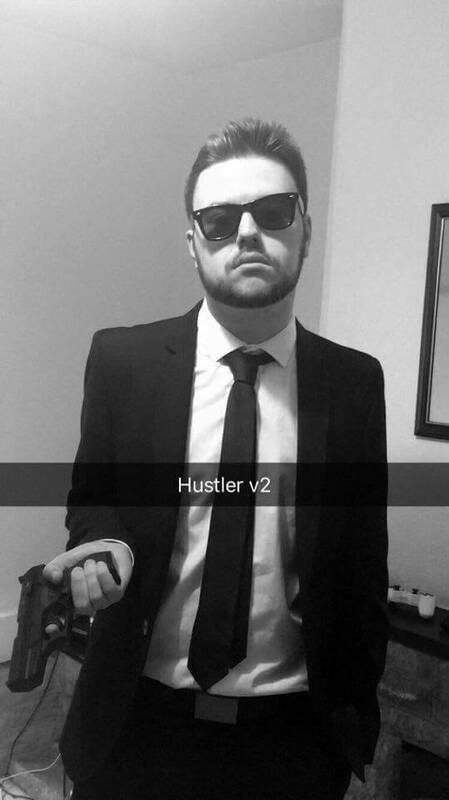 Lawrence Kemp, 21, a second year business management student at the University of Gloucestershire, was filmed on Snapchat multi-tasking as only uni students know how. Juggling deadlines and the desire to sesh, Lawrence miraculously completed a 2,000 word essay while knocking back tinnies at pre-drinks and heading to a nightclub in Cheltenham. When the Snapchat montage went viral, people were quick to praise Lawrence for his perseverance and dedication to his degree – particularly as he got an 81 for his assignment. But it turns out the ingenious students have pulled the wool over the Internet’s collective eyes. It was for one of our modules called ‘shortform’, in which we were told to make a video and try and get it to go viral. We were given a lot of freedom with the brief, so we wanted to make something that was relevant and topical. It’s the end of our student year so everyone’s under pressure with work and exams – we thought why not play on that and try and get the video on a platform. As soon as the University became aware that a creative assignment had become the subject of a news story, we contacted media outlets to ensure they understood that this was not a genuine event. We certainly don’t condone misleading the media but we would point out that a simple phone call to the University would have cleared this matter up immediately. Maybe we’ve just all been schooled. Or maybe – as his degree title might suggest – Lawrence is just a genius when it comes to managing the balance between the business of pleasure and the business of scholarship and the art of deception. How’s that for transferable skills? Did a university student really submit a top-mark essay from a nightclub dancefloor?